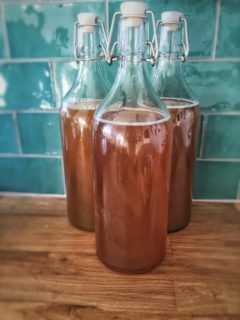 If your love of fermented foods knows no bounds, then it could be time for you to pick up and enjoy a cup of the fermented tea, known as kombucha. Kombucha is a bubble, sour-tasting fermented tea that dates back to ancient China. While commonly made from black tea, kombucha can also be fermented from green tea. As part of inducing the fermentation process, bacteria, yeast and sugar (be it cane sugar, honey or even sugar from fruits) are added to black or green tea before allowing to ferment for a week or so. 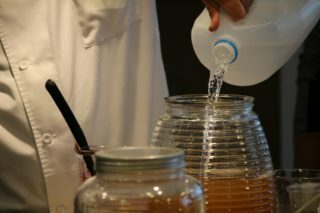 During fermentation, the bacteria and yeast form a living colony known as SCOBY (symbiotic colony of bacteria and yeast) which is often later used to ferment new kombucha. As a result of the fermentation process, kombucha becomes carbonated and it also contains B vitamins, enzymes and a large amount of probiotics- which is also a plus. As our gut bacteria is responsible for a number of integral bodily processes, consuming probiotics can serve to strengthen said processes and by doing so, we’re sure to enjoy in a number of benefits for our overall health. In a perfect world, our guts consist of a healthy ratio of good and bad bacteria; however, this ratio can often become unequal, thus affecting general health. The consumption of probiotics, such as the ones found in kombucha, can help to restore the balance which can then ensure overall health. In regards to its rich probiotic content, by supporting gut health; kombucha can help to ease digestion. Aside from making food more digestible, can help with other of gastrointestinal health by alleviating symptoms of irritable bowel system, constipation and diarrhea. As probiotics help the body better absorbs nutrients, the improved absorption of the right nutrients can boost the immune system and strengthen the fight against infections and diseases. Perhaps because it’s often made from green tea, which possesses its own anti-oxidative properties, kombucha can help to detoxify and provide anti-oxidative protection. Heart disease is the leading cause of death worldwide, but the consumption of kombucha could help to lower those statistics. High levels of cholesterol are a common precursor to heart disease, yet animal studies done in rats revealed how kombucha improved the levels of cholesterol in little under a month. Consuming kombucha with a low sugar content may help to alleviate diabetic symptoms. One animal study revealed how kombucha not only helped to reduce blood sugar levels, but it also helped improve the functionality of both the liver and kidneys- which is often a point of concern amongst diabetics. The antioxidants found in kombucha may be the missing ingredient in the fight against cancer. According to a test-tube study published in the journal Biomedicine & Preventive Nutrition, kombucha helped to hinder the growth and spread of cancerous cells. The liver is one of the body’s main filters thus it’s important to maintain its health. While studies have only been done in rats as opposed to humans, these studies have revealed how kombucha reduces the amounts of toxins located in the liver. This can help to ensure overall health in case the liver becomes overburdened with filtering out toxins from the body. While kombucha is seemingly easy to create, it’s important to be careful if you wish to make it at home. 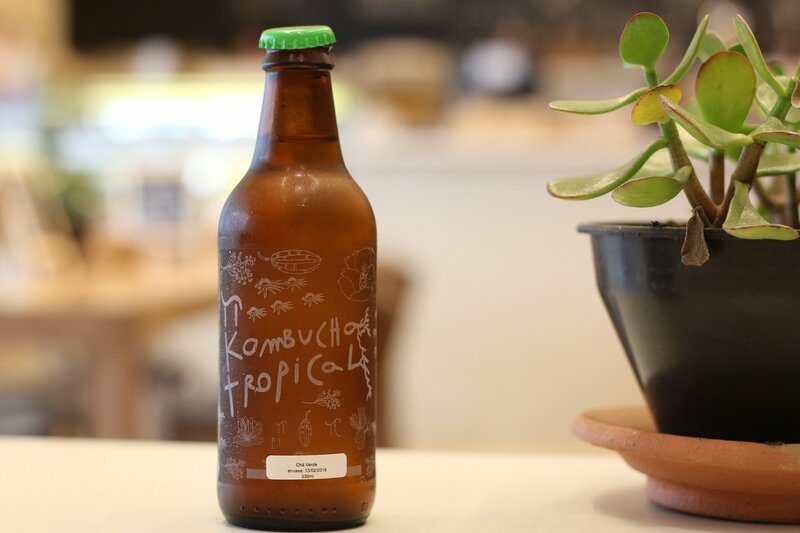 Prolonged fermentation can result in contamination which can cause health problems, which is why it’s best to purchase kombucha in a health store. In doing so, be sure inspect its sugar content. Once you have your kombucha (store bought or home made), be sure to store it in a clear glass bottle and to never shake the bottle, as this may result in the container exploding. You can put it in the fridge if you wish to extend its shelf life. Whether you’re enjoy kombucha by itself, as an alternative to sweetened cool drinks or add it to smoothies, drink up and drink healthy. Multiple studies have been done on different diets and workout techniques. We, ourselves, have put quite a few techniques to the test. And 2018 is the year that I think many, if not most on their health journeys have realised that you don’t need to cut out food. You just need to eat better food. Nor do you need to exercise till the point of feeling faint or sick. You just need to move your body more, in ways that you love. Click here to find out why achieving your best body is a lifestyle choice.